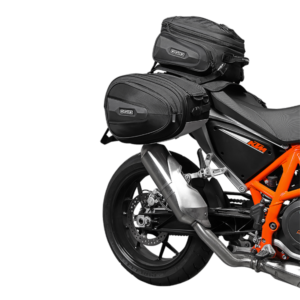 A step up from the Mach 1, the Mach 3 Motorcycle Backpack with No Drag Technology boasts our bolstered back foam to increase ventilation, soft neck shoulder straps that won’t dig in when picking up speed, and a 360 retro reflective safety piping and logo. 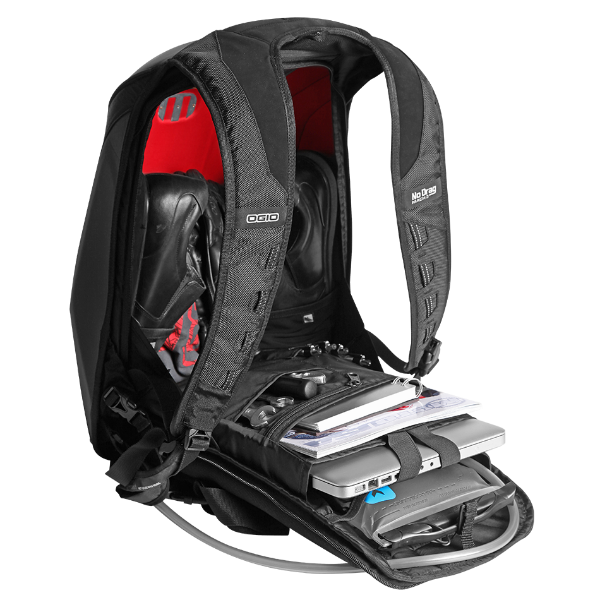 The personal electronics pocket comes fleece-lined, while the added shoe storage compartments make professional commuting a breeze. 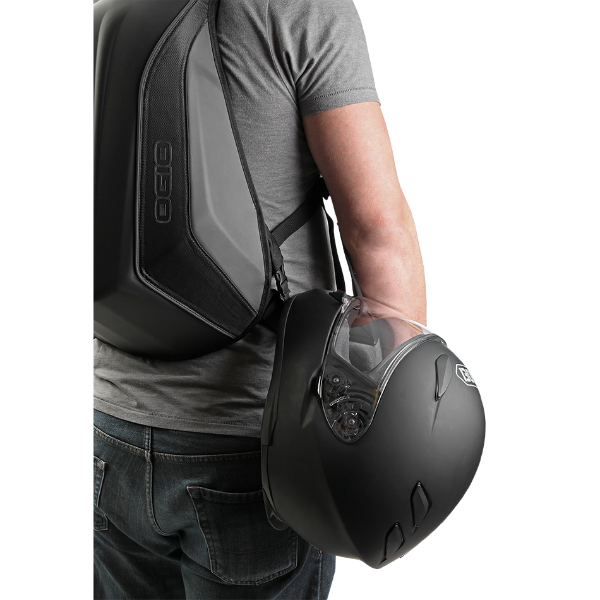 What’s more, the Mach 3 has a removable helmet carry strap and a padded tablet sleeve in addition to the laptop compartment. 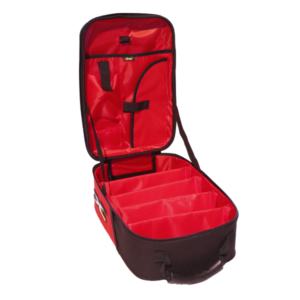 The organizer panel comes with a security pocket, while the interior lining features an updated red. 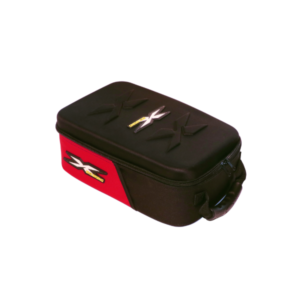 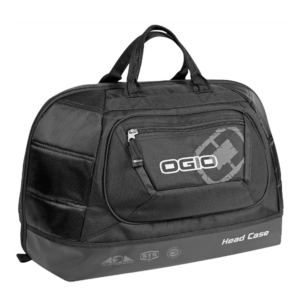 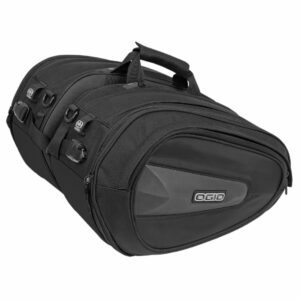 The OGIO Saddlebags are a great choice when you are looking for expandable side bags. 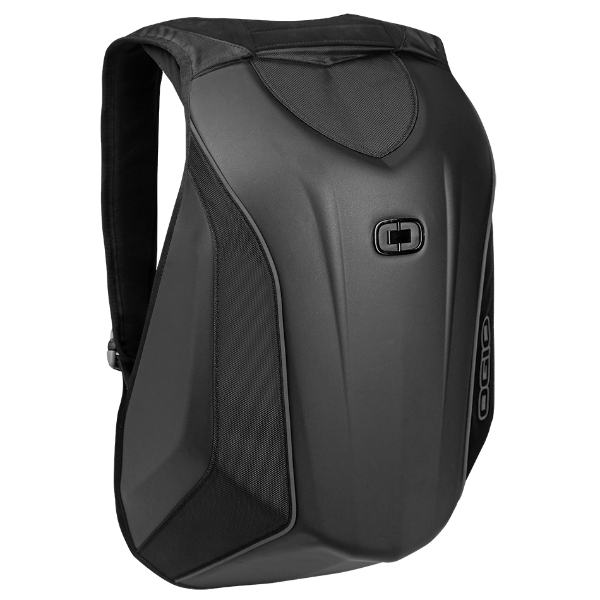 The silicone-infused bottom of the bags are heat resistant, and the integrated rain cover protects your contents when the day gets wet. 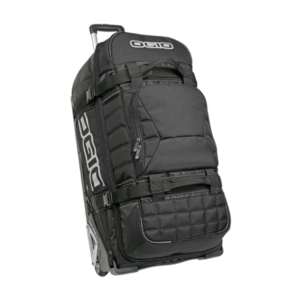 The Rig 9800 Travel Bag stands alone as the king of all gear bags. 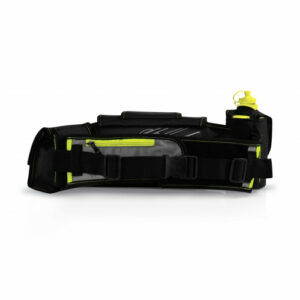 Its durability and impressive list of features are legendary. 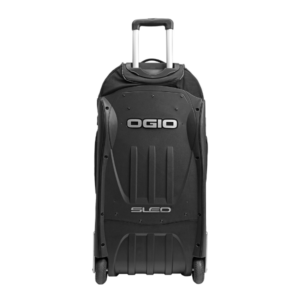 Whether it’s a trip to the track or a trek across the globe, grab the Rig for your next adventure.